One month before Prince died a blind item was revealed claiming he had a secret son who was ready to come out of the shadows [click here if you missed that]. Independent genetic testing at a Santa Monica lab, has verified that an unidentified man in his 30s whose mother allegedly had several liaisons with Prince in the 1980s, has DNA showing Prince has a 99% probability of being the man’s father. SMObserved.com has learned that genetic testing does in fact verify the authenticity of one claimant, to be the illegitimate child of the Purple Rain star. This child, a young man who is now an adult, is the son of Prince and a woman who, in the 1980’s used to perform in the same clubs as the singer (though the mother was not a member of Prince’s band). The claimant, who never met his father, has negotiated with the Singer’s estate and preserved his privacy (i.e., his mother desired anonymity) until today. However, if he wants to share in his estate, he will have to either settle his claim, or come forward with a legal filing in Court by the end of September. 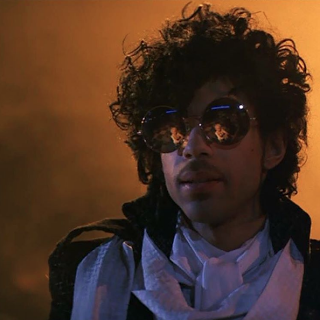 Fun Fact: Yesterday in 1984 Prince’s iconic concert film Purple Rain opened in theaters.